Includes essays, addresses, and articles prepared by Densmore and accompanied by photographs (some taken by Densmore). The papers discuss Dakota and Ojibwe music, ceremonies, stories, and crafts. Chippewa Customs, by Frances Densmore. St. Paul, Minn.: Minnesota Historical Society Press, 1979. MNHS call number: Reading Room E99.C6 D38 1929a, also available for purchase. Songs of the …, recorded and edited by Frances Densmore. Washington, D.C.: Library of Congress, Division of Music, Recording Laboratory. 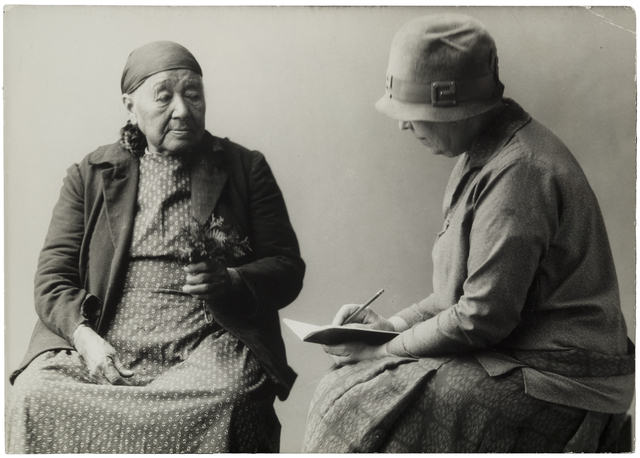 "Frances Densmore: Pioneer in the Study of American Indian Music," by Nina Marchetti Archabal. Chapter 6 in Women of Minnesota: Selected Biographical Essays, edited by Barbara Stuhler and Gretchen Kreuter. St. Paul, Minn.: Minnesota Historical Society Press, 1998. MNHS call number: Reading Room HQ1438.M6 W65 1998, also available for purchase. Song Catcher: Frances Densmore of Red Wing, Steven Smith, producer, writer, narrator. A radio biography/web documentary of Densmore. St. Paul, Minn.: Minnesota Public Radio, 1994, 1997. MNHS call number: Audiotape 143 for a recording of the program. MNHS call number: ML3557.D4 S65 1997 for a printout of the News Documentary. Frances Densmore was born in 1867 in Red Wing, Minnesota. She studied piano, organ, and harmony at Oberlin Conservatory. Densmore became interested in the music of the Omaha tribe after reading a book about the ethnomusicology of the tribe, and soon pursued the study of Native music herself. In 1905, she visited the Ojibwe bands in Grand Marais and Grand Portage where she started to transcribe their music. Densmore began her work in Minnesota, observing and recording the cultures of the Dakota and Ojibwe, and then traveled across North America preserving the customs and traditions of many Native American tribes. She was a prolific author, writing over twenty books and 100 articles, and recorded over 2,000 wax cylinders of Native music. Her records preserved a vast amount of Native American music and culture during a period when white settlers were moving onto Native lands and encouraging the tribes to adopt Western customs.